A super easy keto bread replacement cooked with only five ingredients and mozzarella or fat head dough. Enjoy the delicious keto bagels with almond flour for either lunch or breakfast. 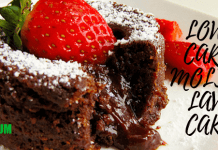 They are low-carb, gluten-free and insanely tasty. With this keto bagels recipe, you will forget about the bread, because it is perfect for a low-carb breakfast sandwich, toasted with butter and topped with cream cheese. It is really easy to make and just perfect to take at work with you or pack when traveling. 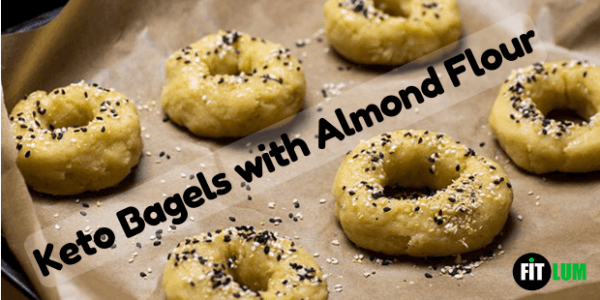 Here is an example of how you can eat these low carb almond bagels in breakfast. Just cut the bagels in half and toast them. On one half, smear cream cheese. Then, add cooked bacon slices, fried egg, avocado, and some vegetables of your choice. And your delicious almond flour bagels are ready, just like that. To make the dough for these bagels, you only need 5 ingredients, i.e. mozzarella cheese, cream cheese, eggs, coconut or almond flour, and baking powder. These bagels are gluten-free. Even people on Atkins diet can use them. Each of these bagels only has 5 grams of net carbs per serving. 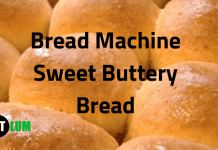 Try out this easy recipe for a keto bread replacement. You only need 5 ingredients to enjoy a delicious keto bagel along with your breakfast. It doesn’t have an eggy taste. It is great both cold and warm. 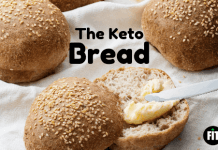 Gluten-free and low in carbs bread cooked with almond flour will make your keto diet journey easier. Take a microwave safe bowl. In it, combine shredded mozzarella cheese, cream cheese, almond flour, and baking powder. Microwave this mixture for 60 seconds. Stir the melted mixture properly, so that all the ingredients are nicely incorporated. To the warm cheese mixture, add the eggs. Add 1 to 2 tablespoon of almond flour if the dough seems too sticky and properly incorporate. Divide the dough in six equal parts. Use your hand to make long strings of each section and give them the shape of round bagels by pressing the ends together. Take a baking sheet and on it place all the bagels. Sprinkle ‘everything bagel seasoning mix’ on the bagels. Bake the bagels for 12 to 15 minutes or until the edges of the bagels turn golden. If you don’t wish to use a microwave, you can use a double boiler to melt the cheese mixture, stirring it from time to time until the proper consistency is achieved. Before proceeding to the next step, make sure that all the ingredients are properly incorporated. It is preferred to mix the cream cheese and shredded mozzarella cheese with the flour before you melt it in the microwave. The ingredients will be well combined this way. You can top the bagels with any seasoning of your choice. The bagels can be refrigerated for almost 6 days.